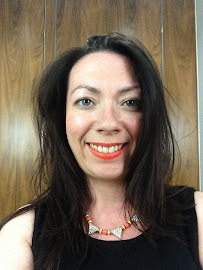 Having recently tried the Natural Collection Make Up range where every product is priced at £1.99 I thought it was time to see what affordable skincare options they are. Superdrug heard my plea and sent three products from the Superdrug Simply Pure Skincare Range where everything is £2.69 - and currently on offer for buy one get one half price. 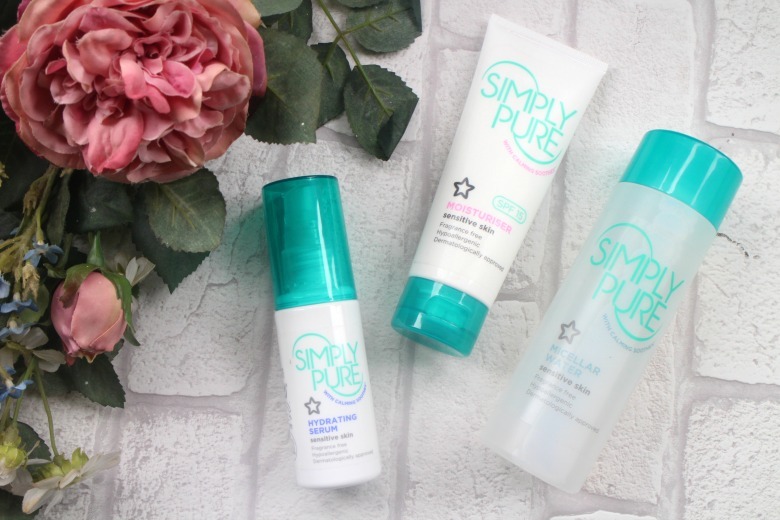 First up to try is Superdrug Simply Pure Micellar Water* a mild, gentle and fragrance free product - as are all the Simply Pure products. Nothing fancy about the packaging but it's clear which always gets the thumbs up from me. Is it the best micellar water I've tried? I'm afraid not but as a first step for removing make up before going in with a cleanser I'm able to make use of it. Despite that it does remove make up well, I often remove eye make up with a micellar water first and then go in with a cleanser and I don't find any remaining product on the flannel so it's doing it's job. Next is a product made famous by Sali Hughes causing it to sell out and Superdrug struggling to keep up with demand. That product is Superdrug Simply Pure Hydrating Serum*. I find that serums are where I like to spend my money and at 37 years old I like to invest in a little more higher end purchases but who knows when my purse could feel the pinch and I might to rethinking my spending. The packaging is once again pretty simple although comes with a pump which I like. It's a typical serum texture somewhere between and a gel and applies nicely to the skin. I have been using this as a morning step in my routine and find that it sinks in and make up sits well on top. It's not so much bells and whistles but does the job if you're looking for something simple and basic. It's not the best serum I own but for the price and perhaps if you're just looking for a hydration boost occasionally this is worth having to hand. Finally is Superdrug Simply Pure Light Moisturiser* which is surprisingly good although my least favourite from the range of products I tried. This is a ridiculous thing to say but there's something about the tube I don't like and I'm sure if it was in a nice pot I'd take to the product much better. Packaging issues aside it's a pretty good moisturiser and I've found make up sitting on top nicely and it absorbs into the skin although I do find I'm a little tighter by the end of the day than I might be with other more expensive offerings. It has a slight tackiness which is perhaps why my make up applies on top nicely and I find that if I'm continually using this my skin errs more on the side of being dryer but if you have oily skin this could well be handy to use. Has this budget brand convinced me to stop spending on luxury skincare, the honest answer is no. That said if I was looking to pick up some skincare items in a hurry, on the go then I would definitely reach for these. If you're a student looking to save some money or perhaps a little younger than I am then this is worth trying out. What budget skincare items would you recommend? The serum sounds really good! I've never seen this range in Superdrug before actually, will have to keep a look out for it!